You spawn in a field facing a desert. If you walk straight forward and cross the river, you will find a cave system. Follow the cave system and you find a skeleton spawner, with loots like saddles and name tags. Here you have 2 options. You can dig straight down from the entrance to the spawner and you will fall into a cave. After a bit of exploring, I found 32 diamond ores and a zombie spawner. 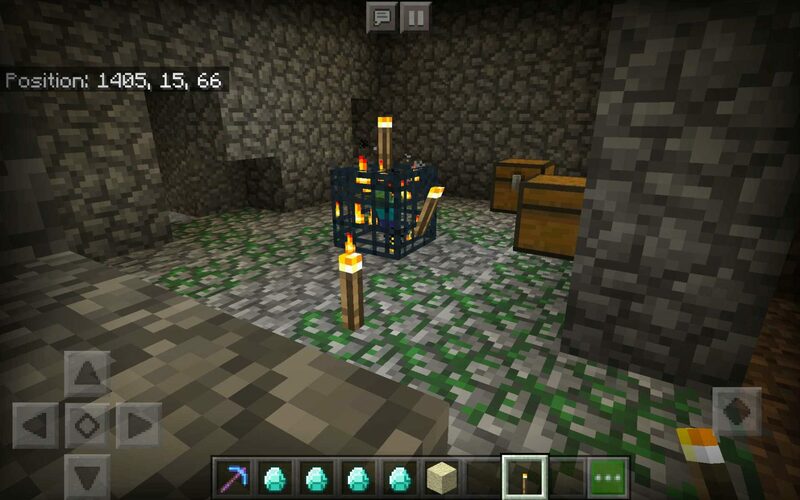 The other option is to head LEFT at the skeleton spawner, and if you explore the tunnels you will find a mine at bedrock level. 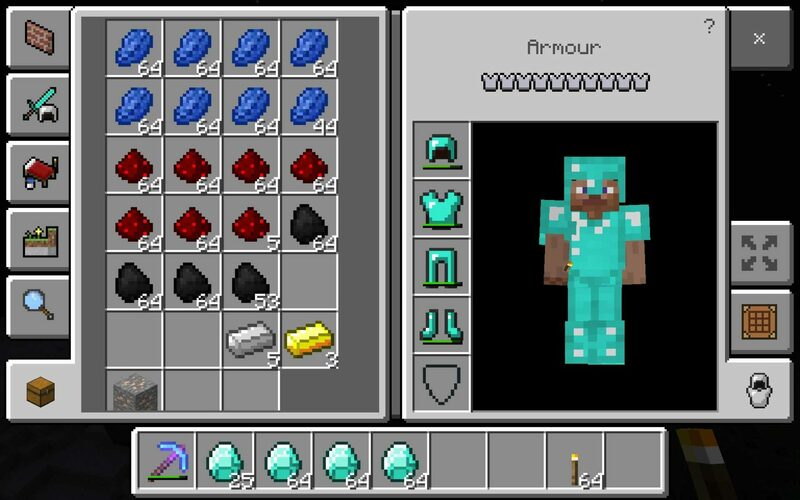 After exploring both ways, I found a total of 94 diamond ore, and a zombie, spider and skeleton spawner. If this isn’t enough, in the desert I found several temples, and if you follow the river you crossed to reach the cave you will reach a glacier biome. Head past the glacier and you will find a savanna village filled with brown-coated villagers. Alternatively, when you spawn you can turn 180° and head in that direction. In this direction I found a plains village with a cartographer villager (sadly the mansion he reveals is about 15000x and y), and 2 villages on the shore. 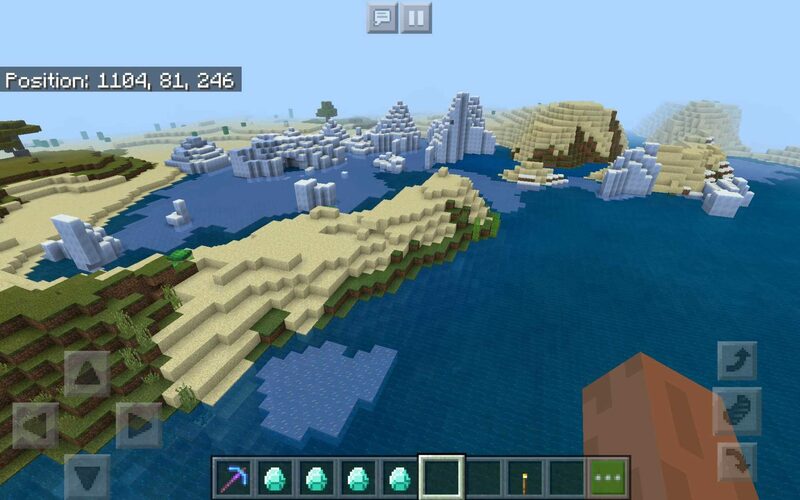 Please note that this is a bedrock edition seed.